“We experience significant downtime due to freezing temperatures,” says Matt Brideau, City of Red Deer’s Wastewater Collections Lead Operator. “We don’t run our equipment during freezing conditions—giving us an average of only eight productive months out of the year.” Furthermore, the wastewater maintenance crew can’t plan for downtime because it’s hard to anticipate when the weather will turn. But that doesn’t prevent them from protecting their infrastructure—they have a job and they strive to do it well. The crew has found efficiency and productivity in two programs: one that helps them assess their sewer infrastructure quicker, and another that maximizes equipment uptime. 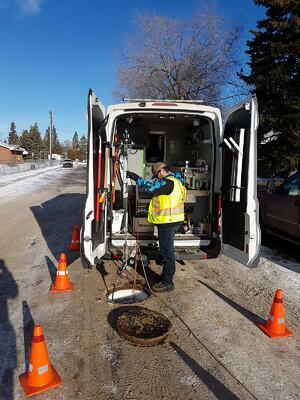 Like most wastewater departments across North America, the City of Red Deer doesn’t just want a more efficient and effective way to inspect and maintain their sewer infrastructure, it is a necessity. With three to four months of downtime due to inclement weather, the city’s wastewater crew must maximize their output when they can work. 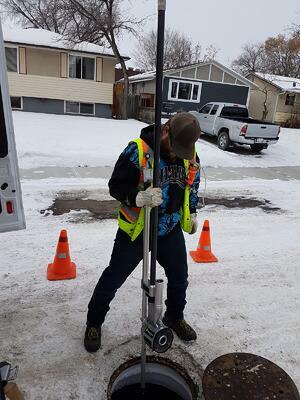 “We learned early on that we need to triage the lines most in need of attention and dedicate resources to those lines in the most efficient way possible,” says Ryan Engler, The City of Red Deer’s Environmental Operations Foreman. 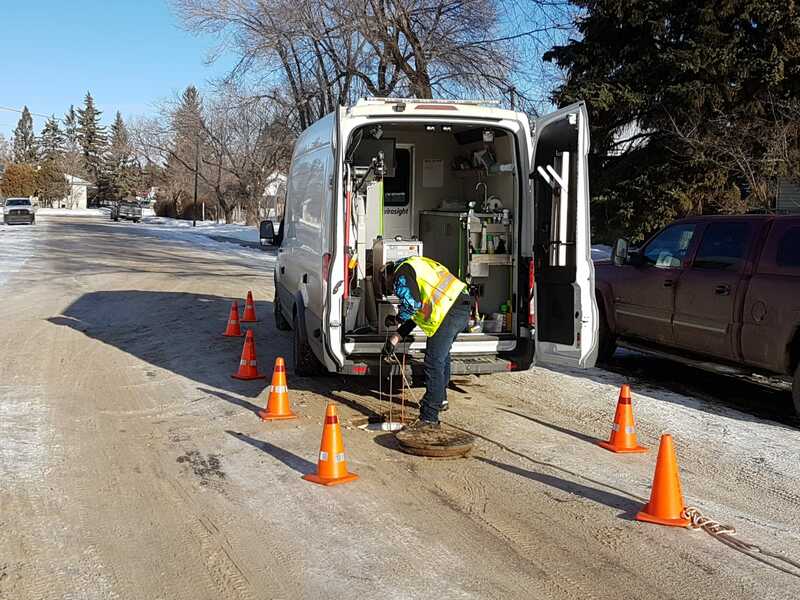 The City of Red Deer’s wastewater maintenance crew has employed a similar program to Envirosight’s Phased Assessment Strategy for Sewers. The crew first uses acoustic technology to assess and score sewer pipes throughout a sub-division. Depending on the overall condition, the crew will use a Quickview zoom assessment camera to visually determine what problems lie within the pipes. “We can quickly assess whether the problems within the lines are due to debris, roots or encrustation, and figure out which nozzle will best work when cleaning the line,” says Engler. Sewer lines don’t need to be cleaned before a zoom camera survey, and therefore can be assessed quickly by a single operator. Understanding the issues right away allows Engler to choose the appropriate tool and clean the line effectively. After cleaning, he sends out a ROVVER X sewer inspection crawler to do an in-depth inspection. “The ROVVER X is irreplaceable in helping us understand the condition of our sewer infrastructure. The steps we take beforehand ensure that we are maximizing our effectiveness and efficiency by deploying our ROVVER X only where it’s warranted,” says Engler. “Being able to prioritize lines has helped us focus on problem areas and save time and money in lines where a full-CCTV inspection is unnecessary,” says Brideau. “For decades the wastewater industry has relied on CCTV sewer inspection cameras to inspect all lines, but we live in a time when newer technology can help our crews run more effectively and efficiently. Tools like the Quickview help us concentrate our resources and bandwidth on our most problematic sections." I n order to maximize output, a sewer inspection crew needs to minimize equipment downtime. The City of Red Deer has a program to ensure equipment is replaced before its service life ends. 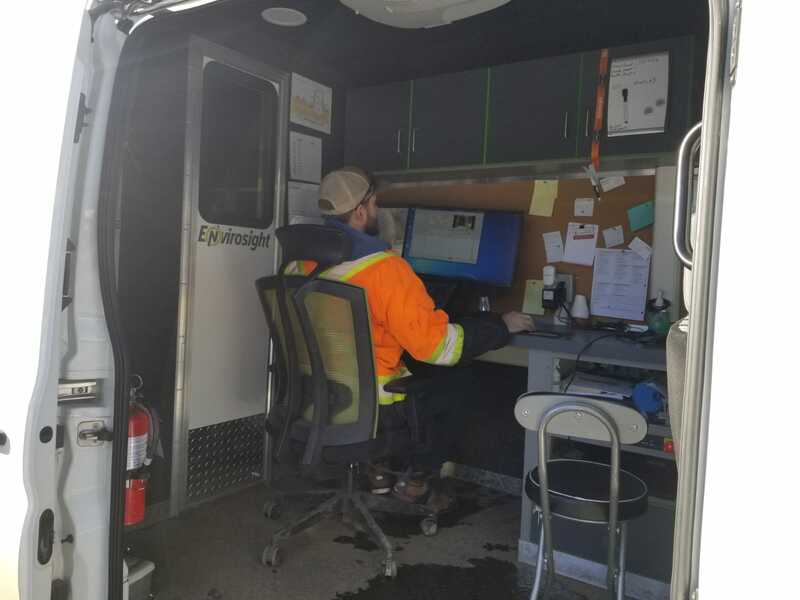 "Our fleet department requires us to replace our sewer maintenance and inspection vehicles every eight years or 110,000 km (6,835 miles), whichever comes first,” says Brideau. “By knowing when the service life of our trucks expires, we can proactively look for the best technology in the market, which is how we landed on purchasing a ROVVER X.” Brideau and his staff don’t take the decision to buy new equipment lightly, and they evaluate their options thoroughly.